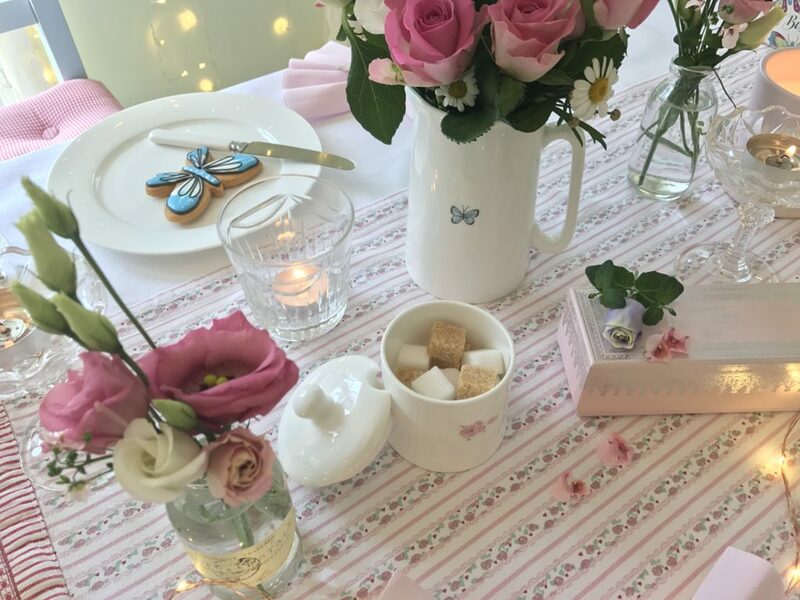 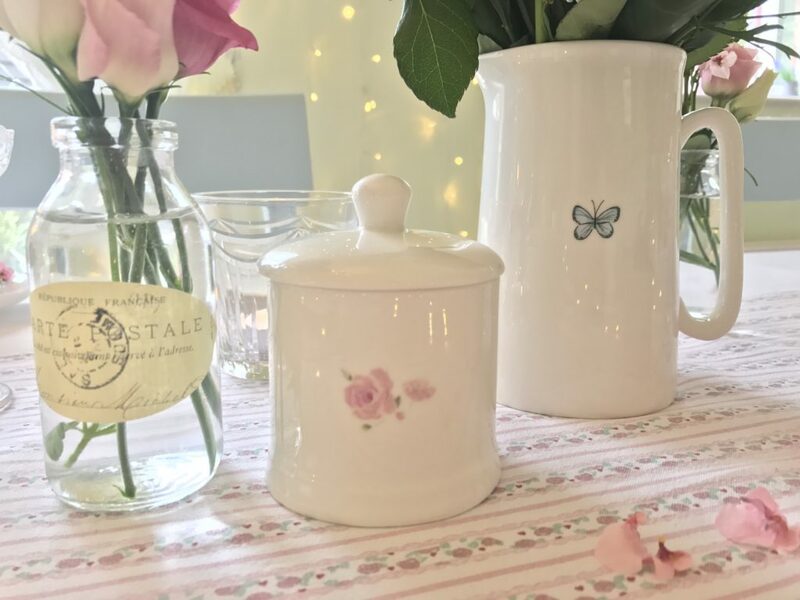 When Sophie Allport very kindly sent me out a selection of their Rose & Butterfly china and asked me to style up a little afternoon tea party with it I was delighted as this beautiful china is right up my street with its dainty little rose and butterfly designs in my favourite pastel colours of pink and blue. 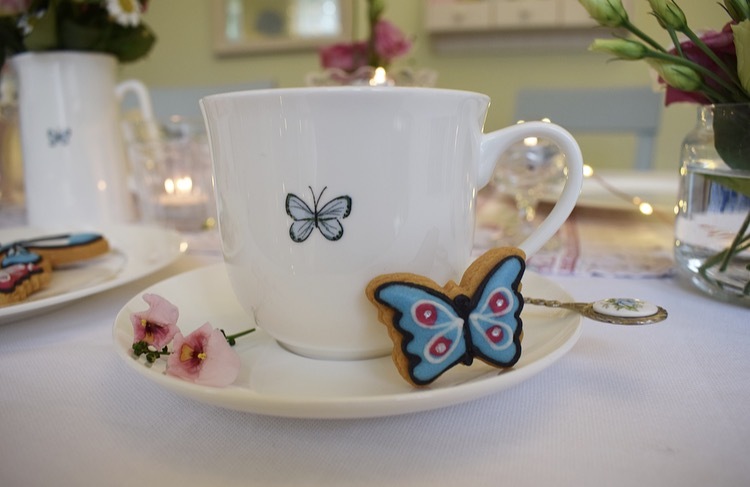 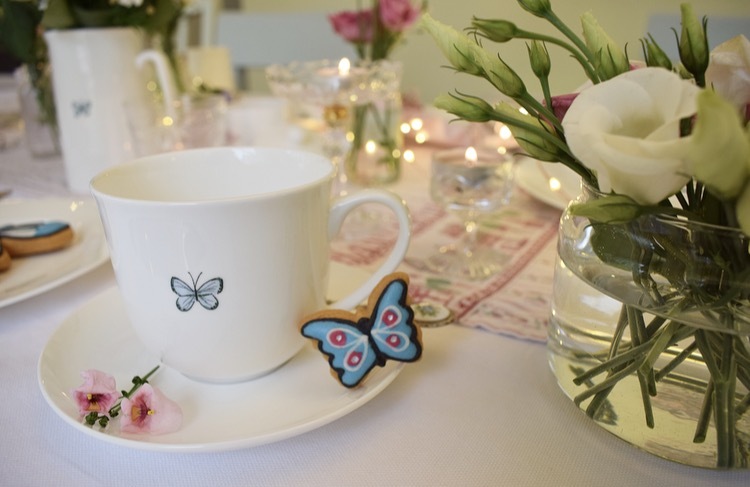 The teacups are a perfect size and I love how the designs feature inside the cup too with a tiny little rosebud and little butterfly. 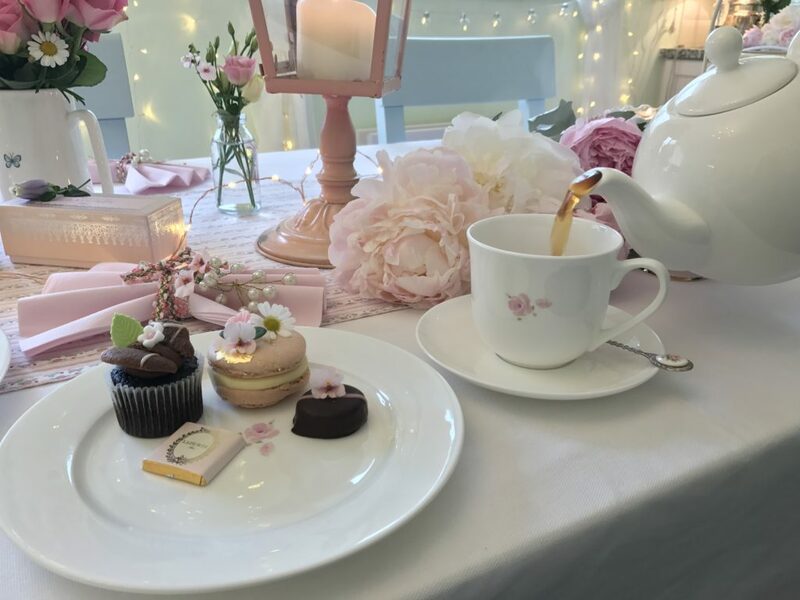 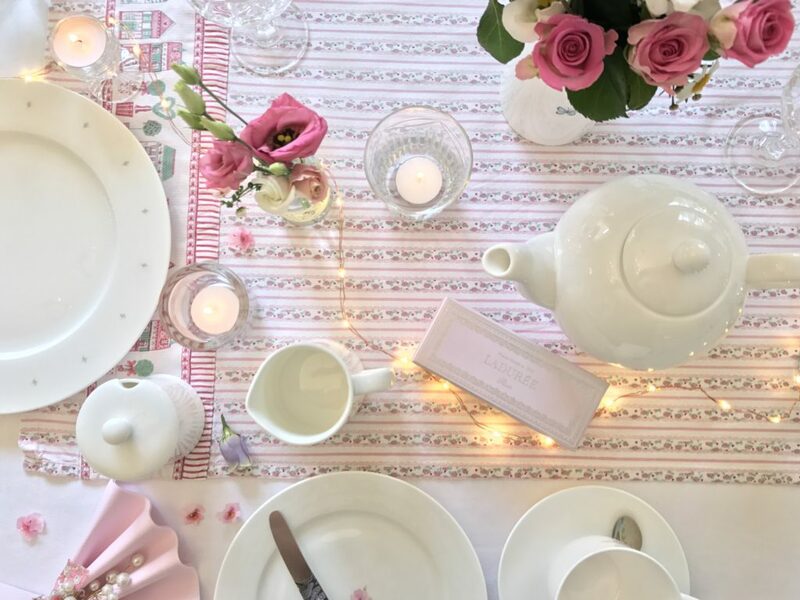 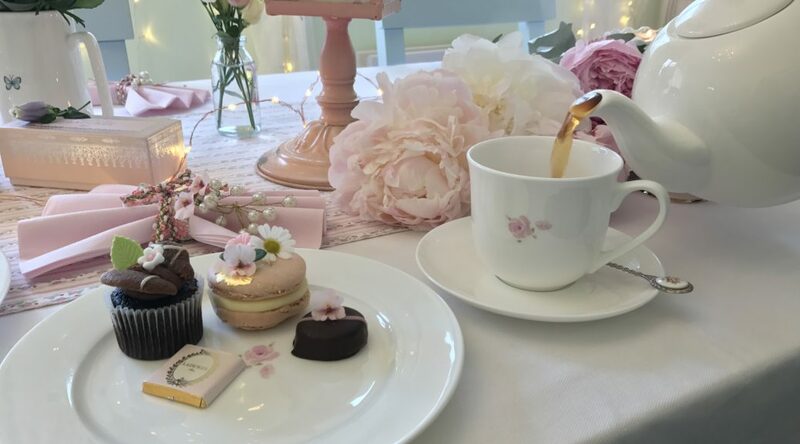 As you all know setting a pretty table is a huge passion of mine and I love all the little details of pretty china, napkins, flowers and candles. 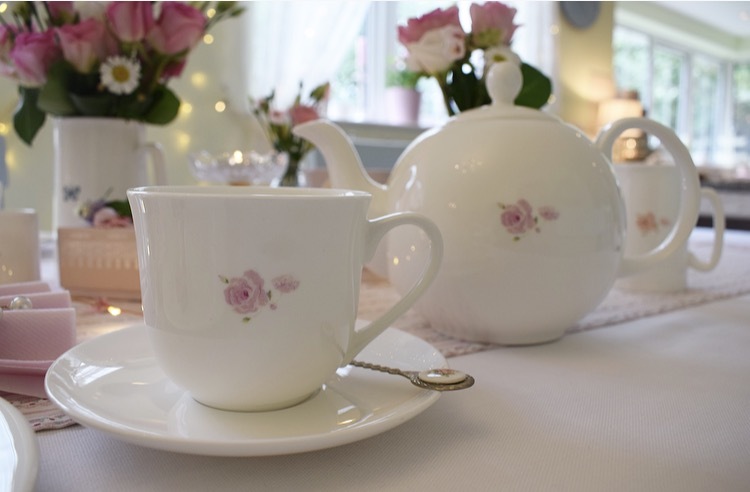 This china is beautiful in a less is more simplistic kind of way and that’s what I love most about it. 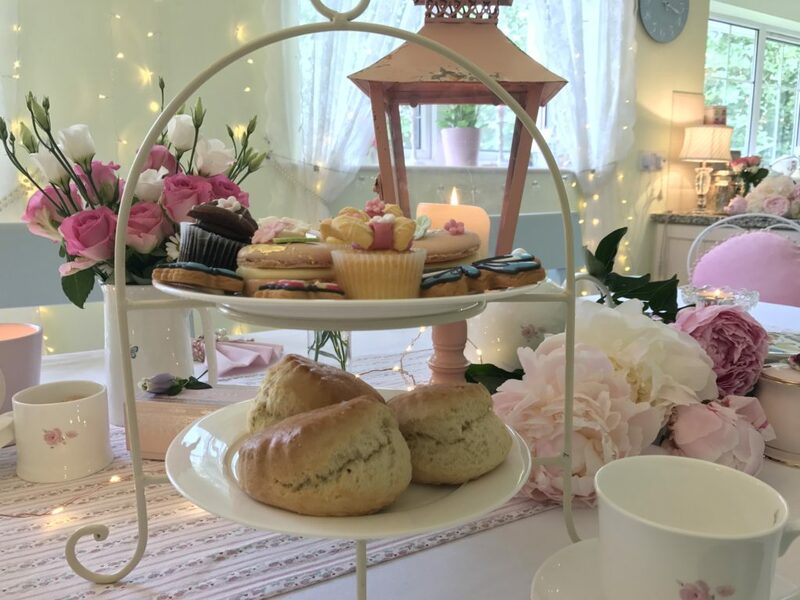 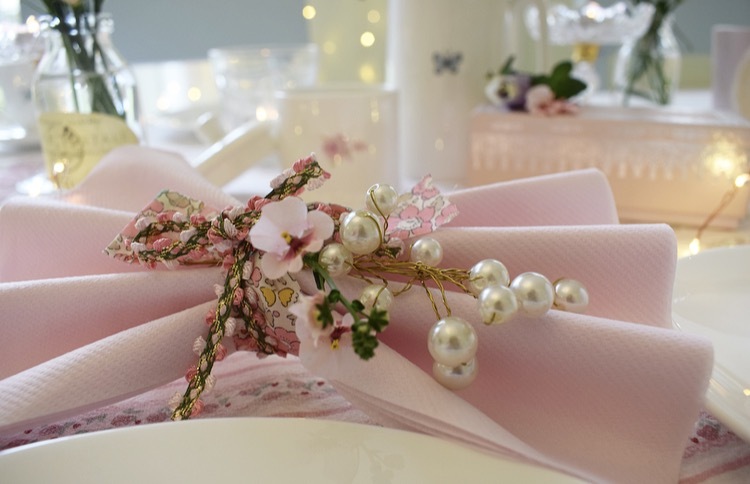 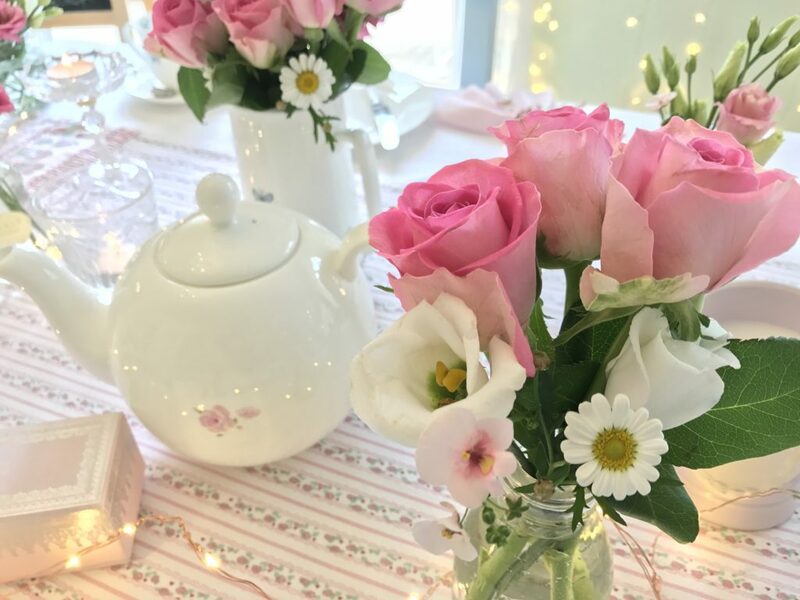 As part of my table decor I used plain pink napkins and prettied them up by folding them into a bow shape and tying Liberty fabric round them before adding pearls & little pink flowers to complete the look. 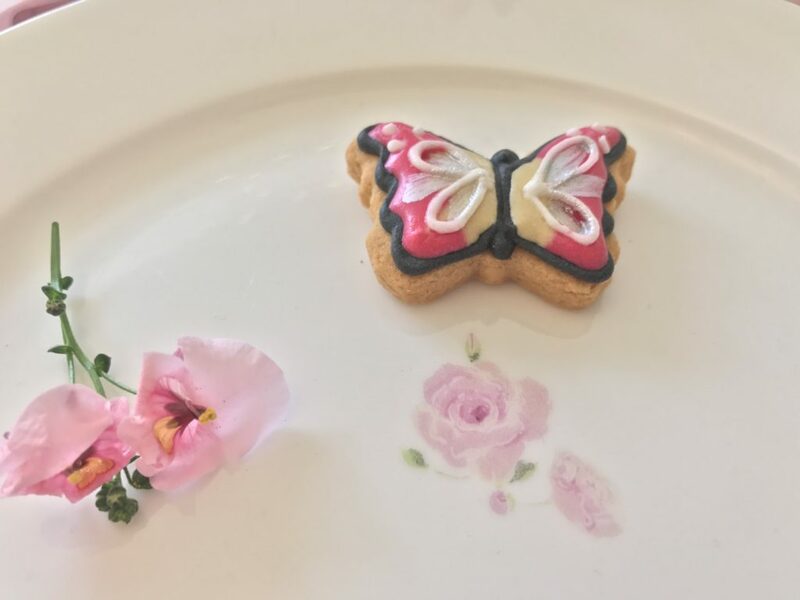 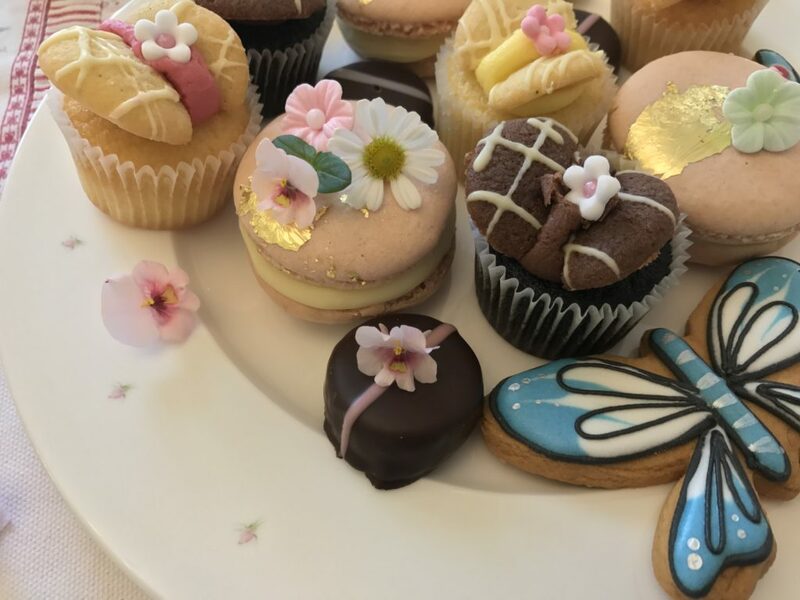 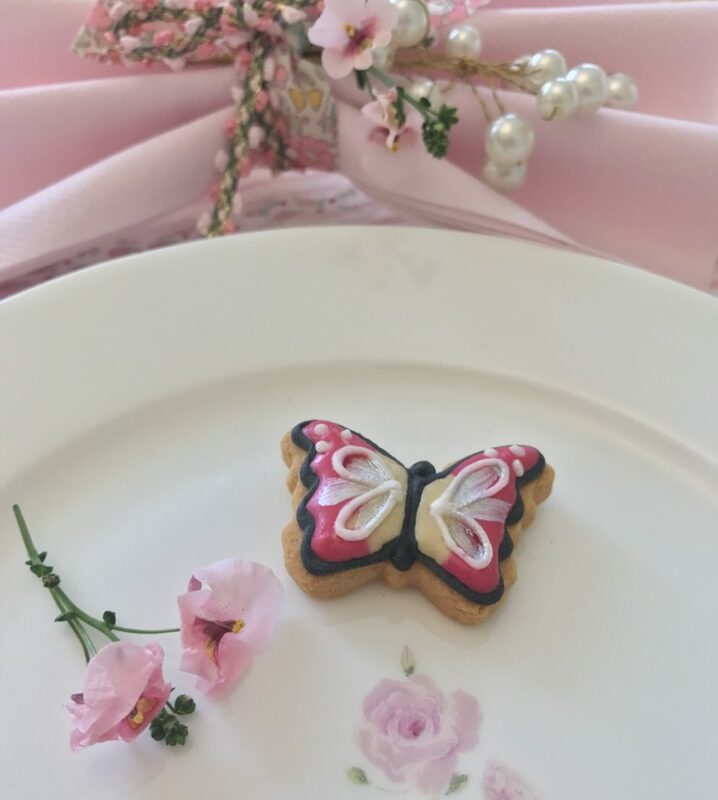 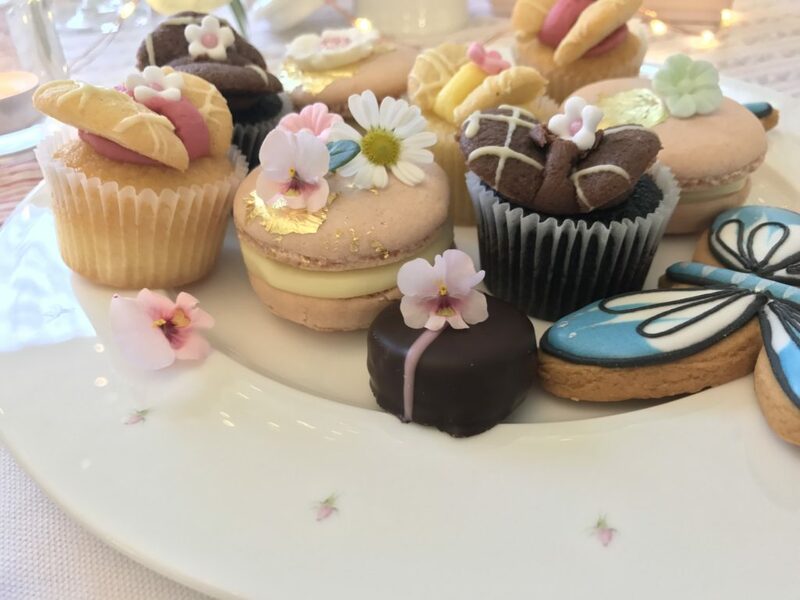 When serving afternoon tea I always like the food to match my table theme as much as possible and in this case that was accomplished by having cute little butterfly biscuits, mini butterfly cakes, Rose & Violet creams, homemade rosewater macarons and a Rose birthday cake for my aunt who was here visiting from Scotland for a few days . 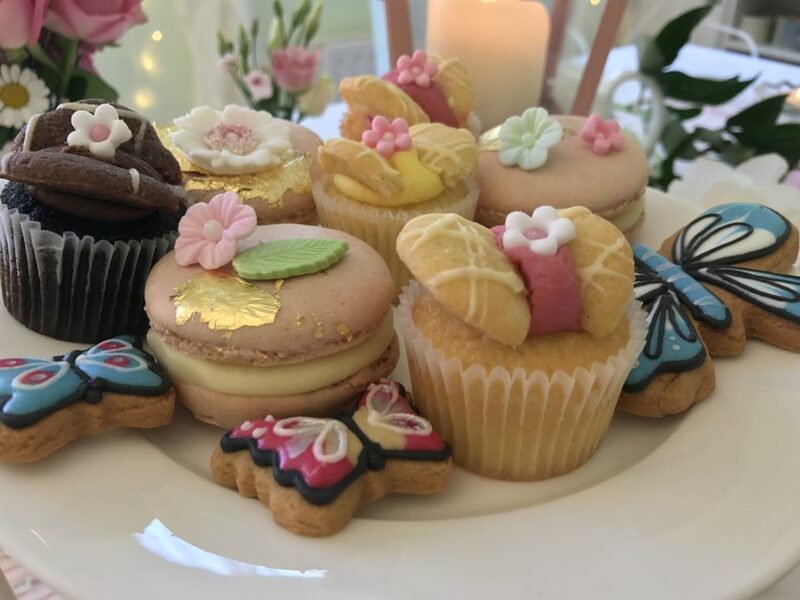 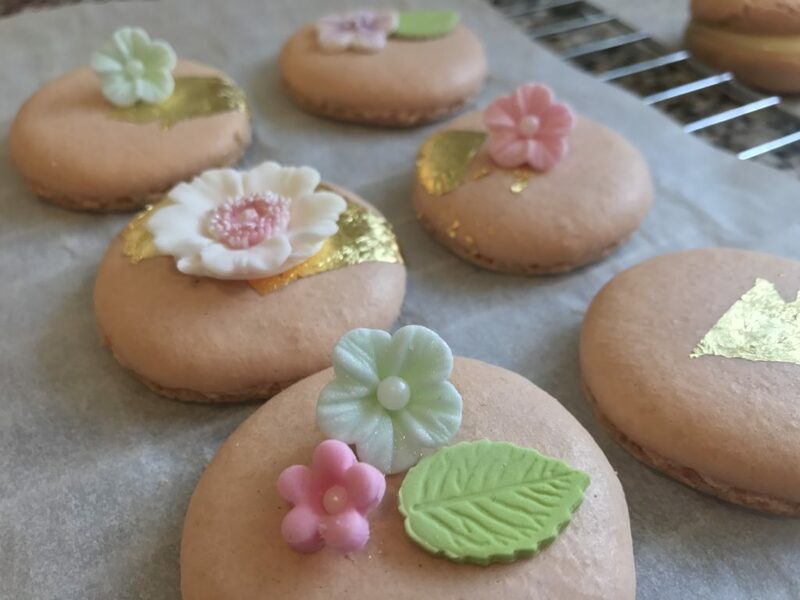 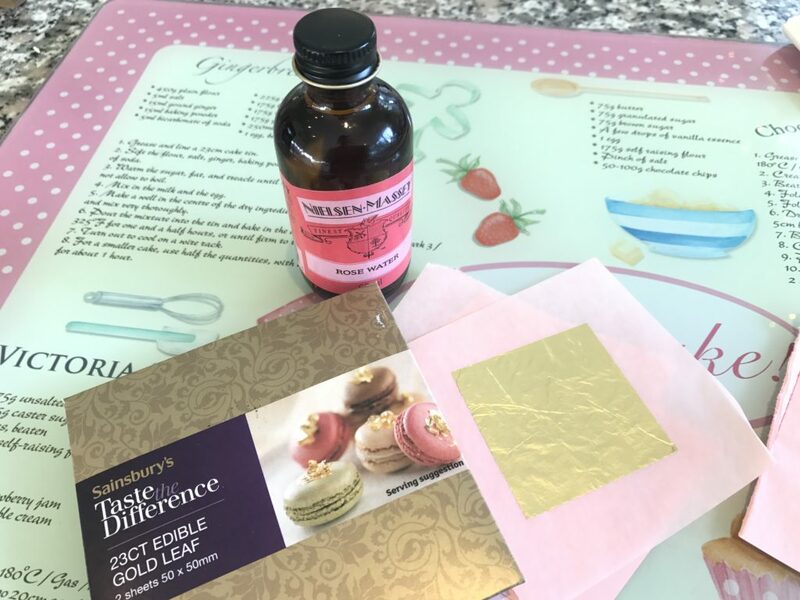 My recipe for macarons can be found here and for a delicate rosewater flavour just add a few drops of Rosewater extract to the meringue mixture at the beginning of the process. 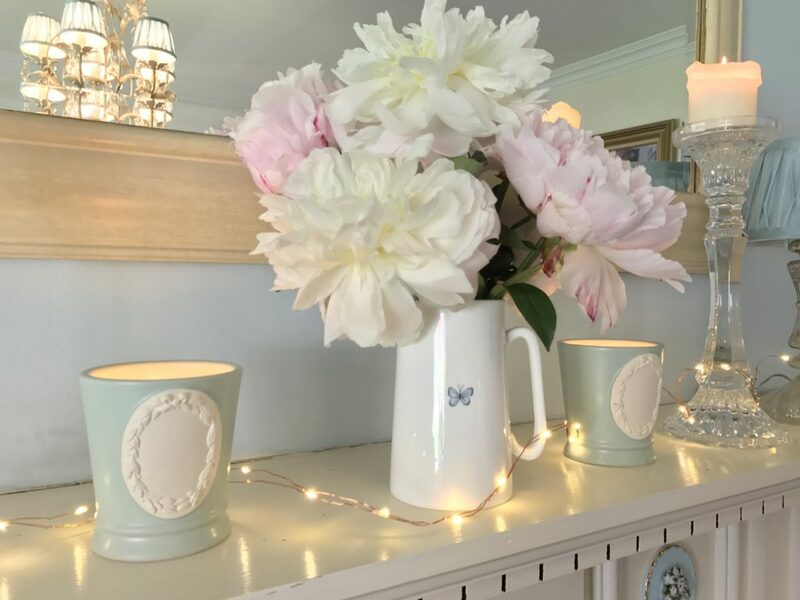 The jugs come in 4 different sizes and they are lovely as milk jugs or with fresh flowers displayed in them. 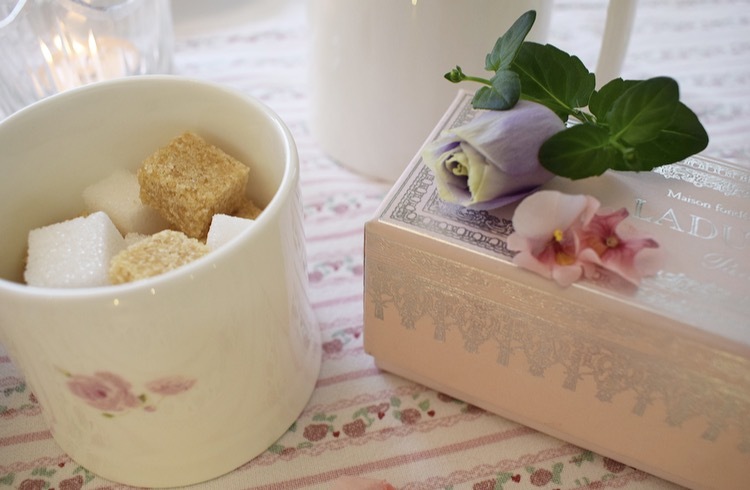 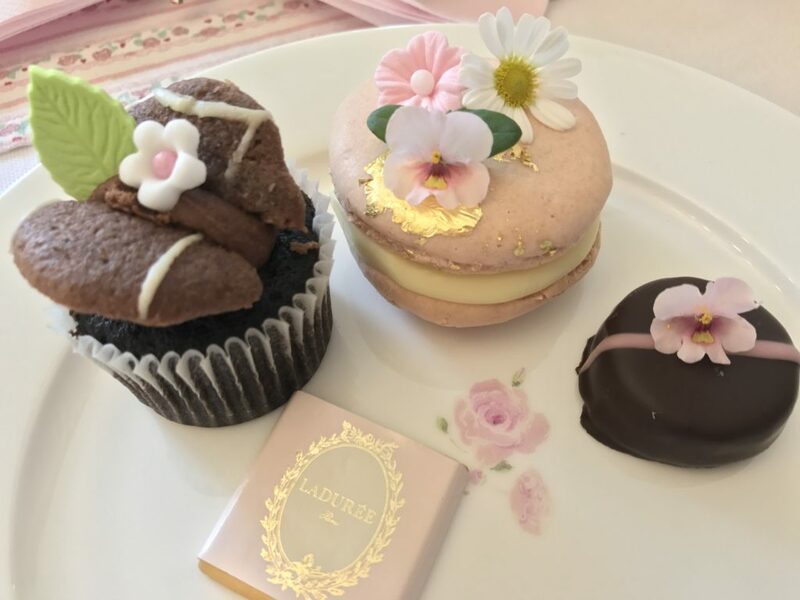 I particularly love the very cute little lidded sugar dish and also love the fact that the designs feature on both sides of everything. 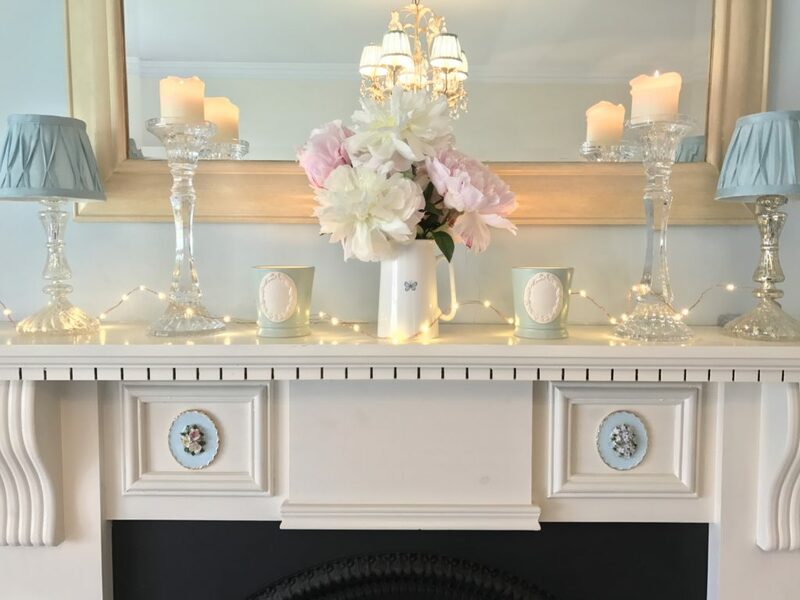 My daughter bought me the most gorgeous peonies this week and I’ve put some of them into the medium sized butterfly jug on my living room mantel and it looks super pretty. 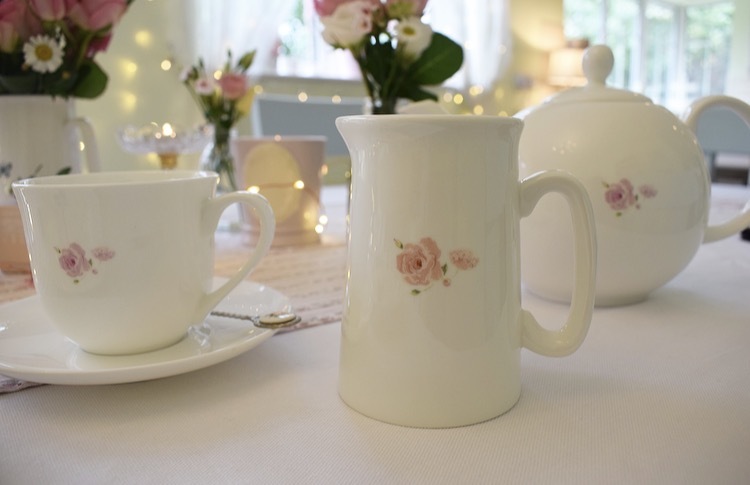 This china is so pretty and also very functional so is ideal for using on a day to day basis. 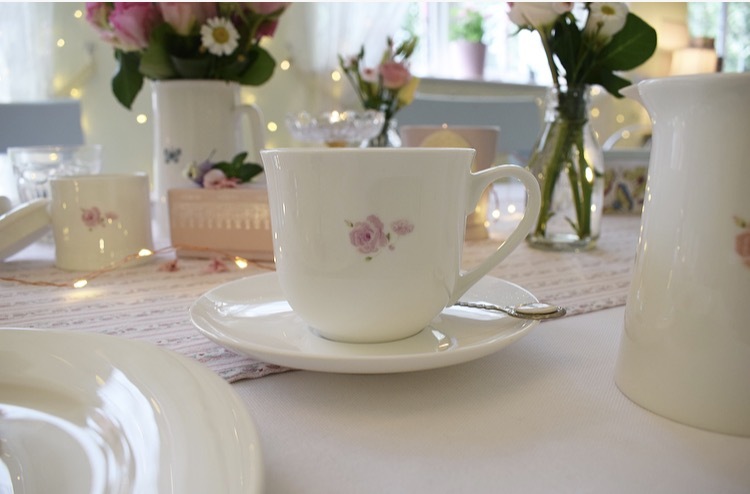 The rosebud dinner plates are one of my favourites in this pattern with tiny little pink rosebuds round the rim. 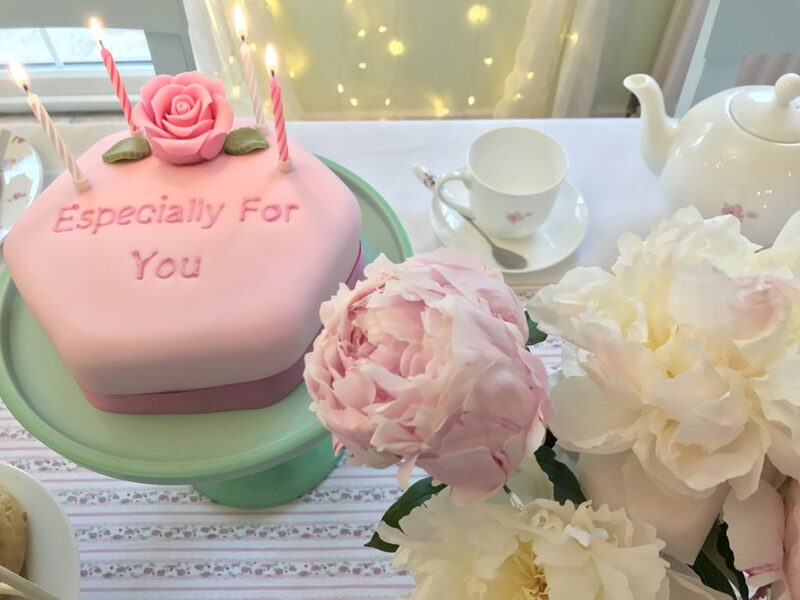 Here I’ve used one of the dinner plates as a cake plate and you can see how pretty & delicate the little rosebuds are.